The Ultimate High Spec Muffler Designed For Over 1000PS. 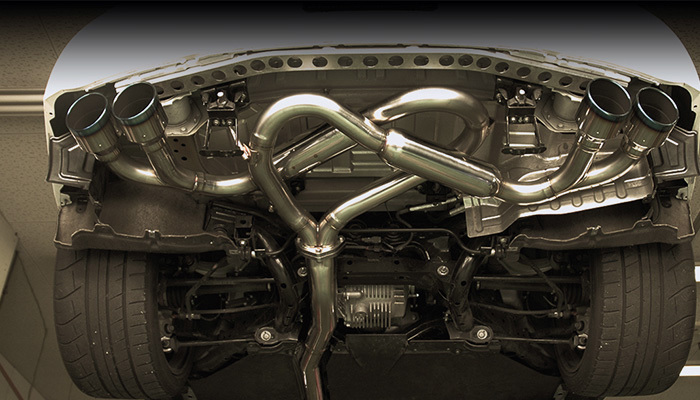 Designed purely in pursuit of exhaust efficiency and targets 1000+ hp vehicles with ultra low flow resistance. This is the system of changeable valve for changing turbine vehicles. 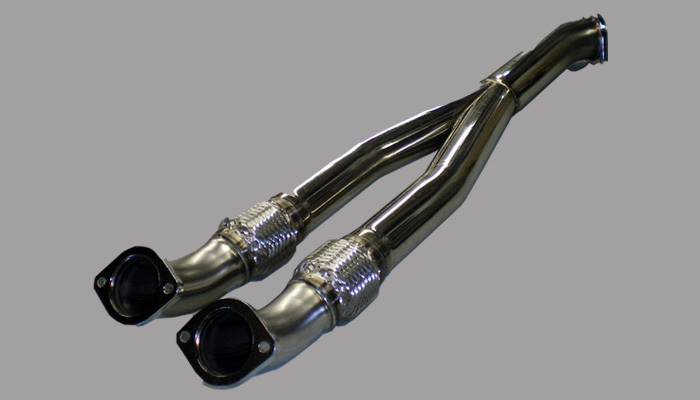 It will give you the perfect sound for all range of speed or RPM by changing the exhaust flow from one to three valves. 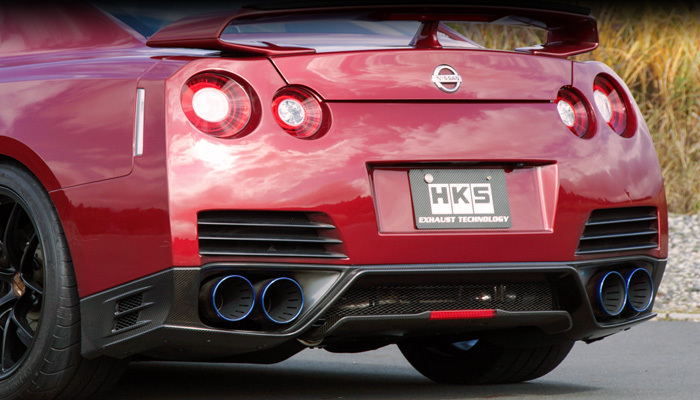 HKS SUPERIOR SPEC R is the high end model of the HKS exhaust systems. 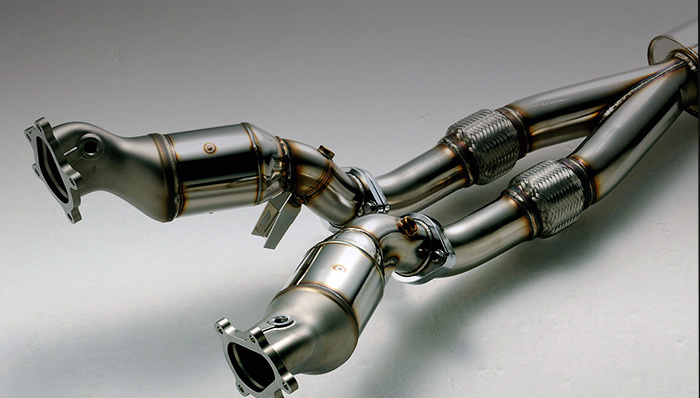 The durable full titanium exhaust system is available with the ultimate performance, sound quality and appearance. HKS LEGAMAX Premium exhaust system is the sporty model. The tip is designed specifically for each application. LEGAMAX Premium is offered in premium appearance and able to provide sporty performance. The only difference between Tig type and Flux type is welding. Other specifications such as performance are exactly the same. HKS METAL CATALYZER is a high performance metal catalyzer to increase engine power output and purify the exhaust gas. This METAL CATALYZER improves engine response and characteristics. 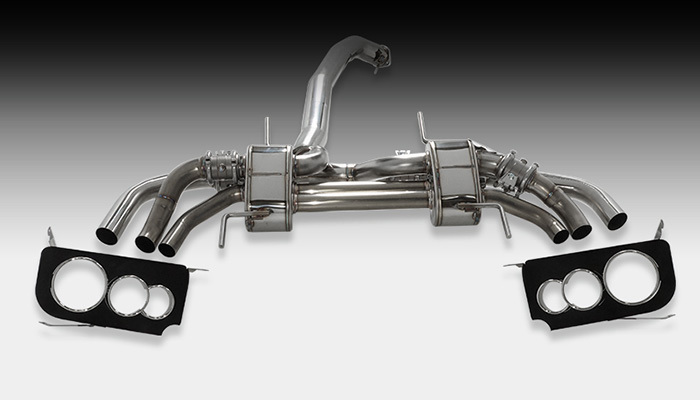 HKS SUS CENTER PIPE for R35 GT-R leads exhaust gas smoothly to the exhaust system so the VR38DETT engine can perform optimally. SUS CENTER PIPE is made from SUS304 that improves durability and appearance. 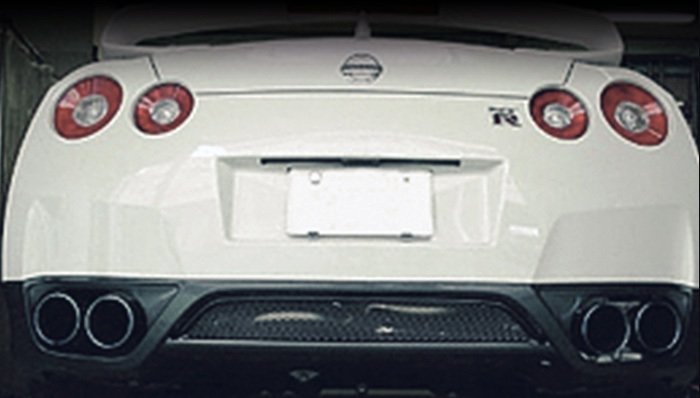 HKS SUPERIOR FINISHER is a stainless steel factory replacement grill for R35 GT-R rear bumper. SUPERIOR FINISHER prevents the rear finisher from being deformed by a high-temperature exhaust system.